DISCLAIMER: The first part of the review is a first impression/use review. Please see my update below. I dare say that all woodworkers droll over building a wall full of clamps, and many of them probably wish they could stock it full of parallel clamps. However barring the rare blow-out sale, most of us aren’t able to afford the high cost of parallel clamps. I got into woodworking long after the Woodcraft and Harbor Freight stopped carrying their K Body clones, so the hopes of this hobbyist stocking up on generic knockoffs were knocked down. I discovered that Peachtree Woodworking carries a line of home brand K Body parallel clamps clones, but was on the fence about buying these for the better part of a year. The lack of any reviews or information about them made it very difficult to make an informed decision. When their Memorial day sale offered 10% off and free shipping, I thought I’d take a risk and order a pair of 24” parallel clamps to augment my Jet 24” pair. With the sale price, they ended up costing me slightly less than the same 24” pair from Jet would have cost at 50% off sale back during Black Friday 2013. They arrived today, I did a squareness check (yes they are square to the bar) and I couldn’t help but do a write-up to share my unboxing impression and performance in their inaugural glue-up (see picture 3). 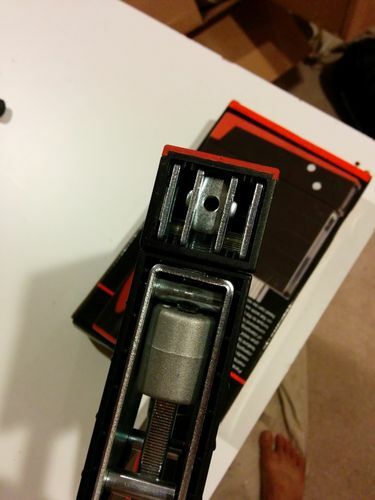 Shipping & Packaging – Peachtree did a phenomenal job packing the clamps in shrink wrap and ample padding for shipping. Kudos to the care they took to make sure the customer received their order safe and sound. The clamps are also packed in a nice little cardboard box (see picture 1) which deters window shoppers from abusing the clamps (like the ones I often see at the big box stores or Woodcraft). The movable jaw is kept on the bar through the use of a very cheap looking plastic retaining foot. It took a little finessing to get into place but once snapped into place, does feel nice and snug. Comparison with the Jet – There is a very good reason why the Jet retails for so much more than the Peachtree clamps…you get a whole lot more clamp. That is, the Jet clamps are bigger. The jaws are bigger, the handle is bigger, and there’s also more thread on the handles to work with (meaning you have a lot more latitude to crank down the pressure). The main clamp bar however appears to be identical in dimensions. Bigger isn’t always better as the Jet clamps are heavier, and that may make or break the experience in a complex suspended glue-up. A few pictures to illustrate the differences. Conclusion – If price weren’t an issue, I would hands down stock up on the Jets (see my review for more details). If I ever saw a sale on them again, I would definitely grow my collection. However at half the retail price of the Jets, I am very satisfied with this acquisition. They definitely fit the bill, and give me little reason to feel like I over-compromised on features for the lower price point. They also feel far more substantial (and cost less) than the Bessey K Body Revo Jrs. If you’re on the fence about parallel clamps and can’t wait for a blow-out sale, definitely check out the Peachtree clamps, available on the bar clamp page of their website (towards the bottom of the page). I know they’re going to be making an appearance in many of my projects to come, especially when clamping something that is suspended off a stable surface. 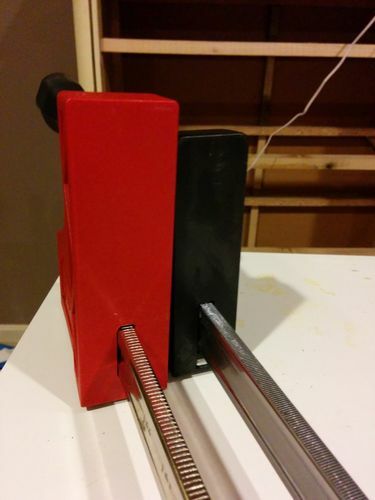 PS: I like the red and black color scheme…It goes well with my Jet and Bessey collection. UPDATE (6/24/2014): After some use over the past few weeks, I am happy to say that I do reach for these clamps fairly often. 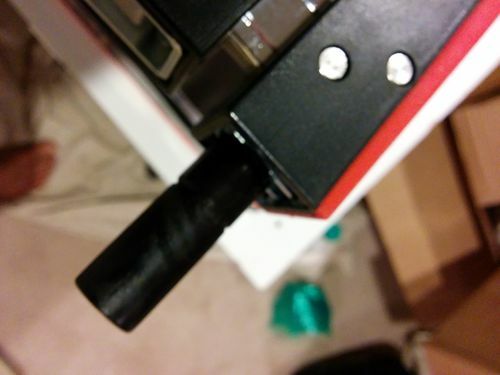 They work very well, and the threaded screws for the Jet dogs make them an excellent companion to the Jet clamps. I also had a chance to do a few size comparisons with the Jet, Bessey K Body REVO, classic, and JR. What I found is that size goes something like this: Jet > Bessey K Body REVO > Peach Tree > K Body (classic) > JR. Ultimately, I see these clamps to be the “junior” equivalent of the Jets, and they will certainly be a part of my clamp collection growth plan. UPDATE (9/7/2014): I’m very sad to see the price for the PeachTree parallel clamps go up. Each clamp has gone up in price by about ~$3-5, which may not sound like much, until you realize that it’s a 15-20% jump per clamp, and for the number of clamps one would buy, it adds up fast. Does it change my perception for performance? No, but with a bigger price tag, these clamps certainly lost a fair amount of value appeal. Thanks for the write up. I always wondered about these clamps. 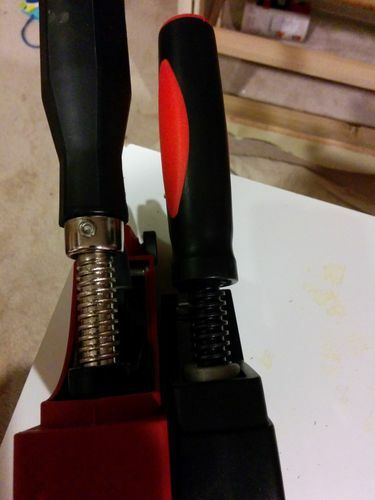 Hopefully Jet will do another Black Friday sale this November so I can double up on my previous Jet clamp purchase. If not, Its good to know that these aren’t total junk! I have a bunch of the Jets and Love them. Mine arent as clean as your though.. LOL nice review. I’ll definitely check these out! Nice review! Thanks guys. 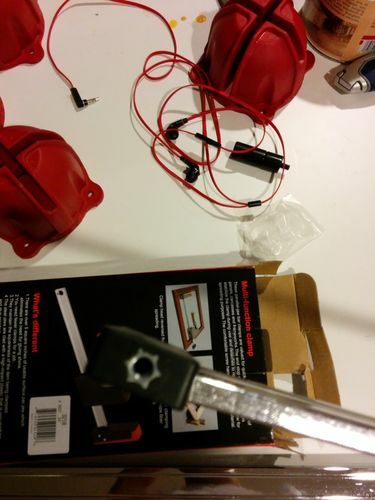 I was eager to pull the trigger to buy the clamps and post a review because there was a sore lacking (like basically none) of reviews, save few sparse reviews on Amazon. I am very pleasantly surprised and am planning on add some more of these as my “light weight” parallel clamps in the future. Stay tuned for an update in the near future. I plan on adding a few pictures to compared these clamps the old Bessey K Body and the new(er) REVO. I could not find these on the peachtree site, nor could I find them on justclamps.com their sister site. Could you post a link? 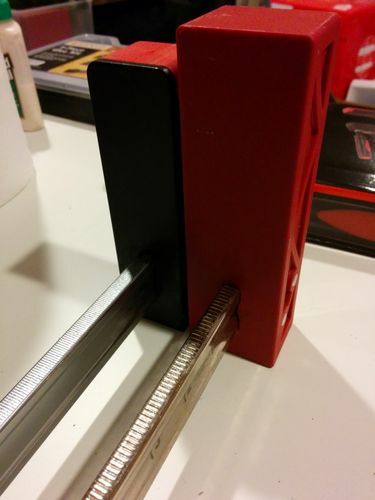 GoBlu – Updated my review with a direct link to the Peachtree bar clamps page. As of this comment, it is the 3rd from the bottom of the page. Thanks, paxorion, I found them. Good deal. I have the same clamps and to this point am happy I purchased them. If I need more, these will probably be my choice next time as well. Rockler has a terrific sale price – $128 – on a set of 4 Bessey K Body Revos. The set contains a pair of 18” and a pair of 31” K Body Revo’s. This is less than $10 more than the same PeachTrees. I just placed the order with Rockler. This is the only set of Besseys that Rockler has on sale. All their other K bodies are at regular price.